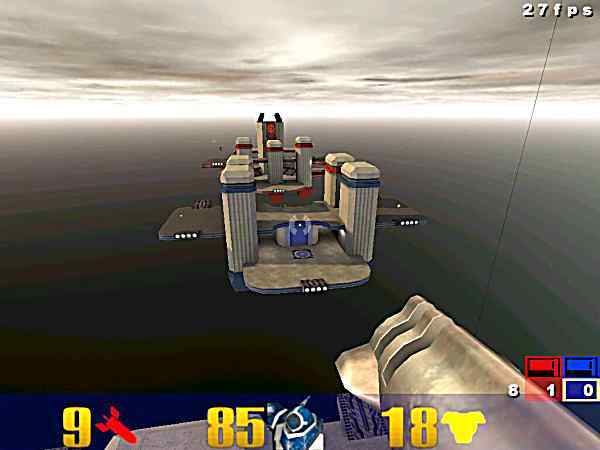 Q3Arena.com's primary commitment to the gaming community is to present the readers the latest and greatest news surrounding Quake, Quake2, and Quake3: Arena. We enjoy receiving news tidbits, and believe that the news we provide is a great resource to the community; we hope you feel the same way :). Please make sure your news item is current and something that hasn't already been posted on the main news page. This happens more often then you'd think. Please only send your item once. If several days have gone by, and your news item still hasn't shown up on the page, THEN email it again, however due to the amount of email we receive each day, we'd appreciate it if you kept your mailing within considerate limits. Many people like to send an email which describes their mod in great detail, going into what each part of their mod does, and how it was designed. While this often makes for an interesting read, when we put together the daily news, we only like to skim the items to pick out the most important parts. Unless you are mailing in an official press release, please try to keep your items to a paragraph or two, but no more. Please do NOT send us any attachments!! If there are screenshots or something that you would like for us to check out, then please provide a URL to those files, but do NOT attach them to your email message! Please PLEASE make sure your news item has a URL in it!! Often times if a URL is not included in the message, we will have to pass that one by (unless we already know the URL). Please make sure the URL that you supply is the CORRECT link :) It's very common for someone to leave the "l" off of "mysite.html", which often prompts more email to the news list, telling us about a broken link that we don't know how to fix. We will NOT post clan ads. Recruiting for your clan can be done either on IRC or via some other medium, but news pages are for news, not ads. Remember that you're sending news to Q3Arena.com. We cover Quake/2/3Arena news EXCLUSIVELY, so if you are going to send us a note about some other game (Half-Life, SiN, Unreal, etc), please don't, because there's a 99.9999% chance it won't make it to the front page. news@q3arena.com or use our Contact Form. Thank you and keep the news coming!